This edition comes from the Sächsische Landesbibliothek, Dresden, a manuscript of the complete Credo, on Venetian paper in an Italian hand. Lotti lived and worked in Dresden from 1717-1719, though the work was likely written in Venice before that. 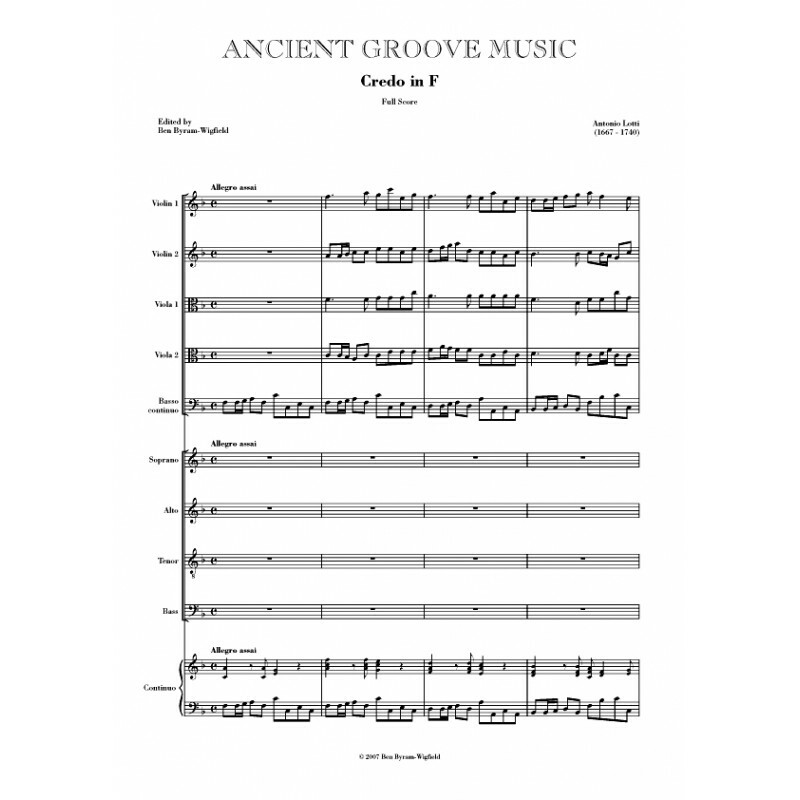 Ancient Groove Music has now discovered a manuscript in which the Credo is part of a complete mass setting - the Missa Sancti Christophori. The instruments play throughout the work, except for the Crucifixus, where the choir divides into 8 parts, accompanied only by the continuo. The strings then return in fanfare, to proclaim the Et resurrexit. 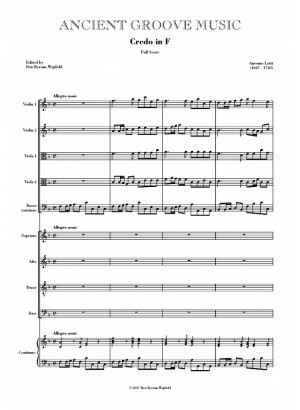 The major editorial tasks are the creation of a part reduction for the vocal score; realising the figured bass; and the transfer of source accidentals in the Crucifixus into the key signature.